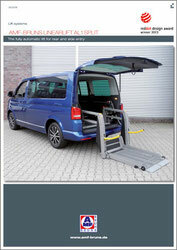 The “AL1 Split'' linear lift has one lifting platform, divided lengthways into two-parts. During operation, the lifting platform of the linear lift unfolds towards the centre, creating an overall platform. 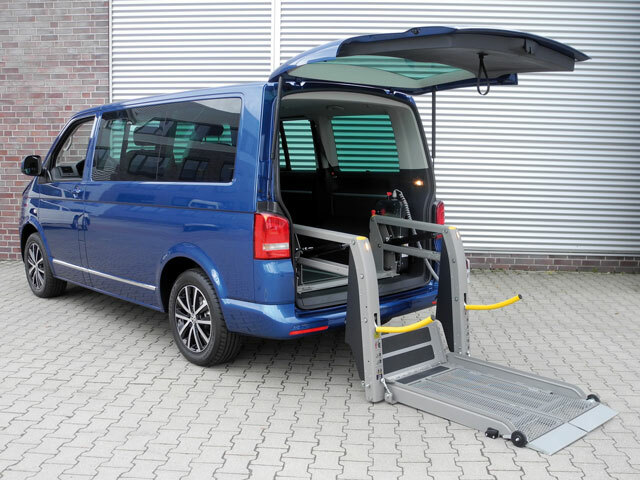 After use, the linear lift moves back into the vehicle at the push of a button and the lift platform unfolds. 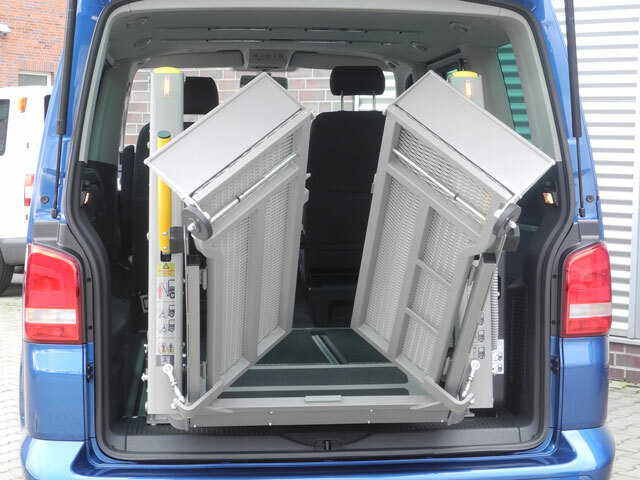 Thanks to its split steel mesh platform, the “AL1 Split” provides a clear view and free access to the passenger compartment. 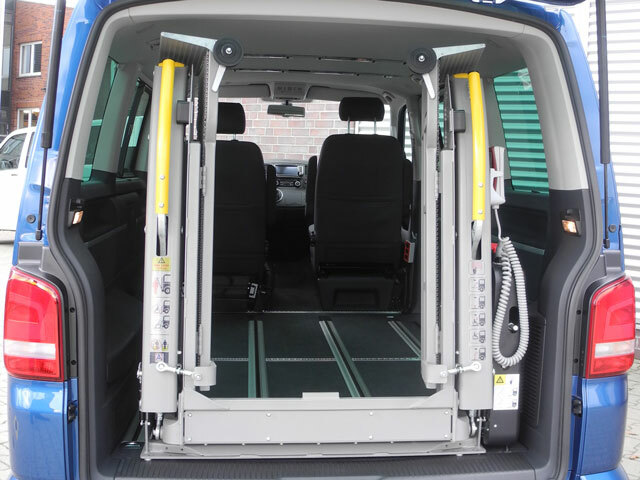 The automatic roll-over flap, hand rails and fully automatic roll-off safety barrier ensure the best possible safety levels. Indicator lights fitted to the linear lift ensure additional safety when in use.